How do I Stay Focused and Become Successful? 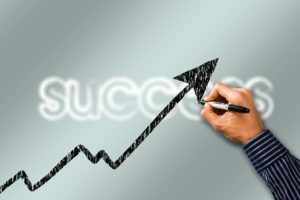 Most people think of success as being financially independent and working on your own terms so let´s make it that definition in this article as well. However, before we begin, think about what “becoming successful” means to you so you know what your goal is. There are a number of things you should do. For starters, you have to put yourself in the right mindset. Don’t be held down by what you’ve been like in the past, one of the main keys to success, which is often underestimated, is personal growth and development. Read a lot. Every successful person is an avid reader of books or newspapers. In order to succeed you must be a “lifelong learning machine”, as Charlie Munger, puts it. Surround yourself in the right environment. People constantly talk about willpower and discipline, but those are overrated. Your ability to be successful is highly dependent on the environment you place yourself in. They say you’re the average of the 5 people you spend the most time with. Find local entrepreneurship or business clubs/meetups. Try and join online discussions/Facebook groups. Reach out to people you admire. Start working on side projects. Most successful businesses have in fact started out as side projects. Facebook was something Mark Zuckerberg wanted to do for fun in college. Google was at first just an attempt to solve a problem, not create a massive company. You don’t need tons of skills to start a project. Start with what you know and as your projects evolve you’ll pick up new skills. Step out of your comfort zone – try to do things that scare you, so you get used to handling tough situations and rejections. One thing I recommend is the 30 day cold shower challenge. This is incredibly hard/terrifying, but it actually has a tremendous impact on your personal growth. Get in the mindset of creating value for others – people have the false idea that to be successful you have to extract money/value from others. While in reality, the money and success you receive, is directly proportional to the amount of value you create and the difficulty of problems you solve. If you really want to stay focused you need to eliminate distractions in your life and immerse yourself into what you want. Learn to say NO to distractions. Say no to dating, facebook, mindless browsing, and anything that is not essential for your survivial. You need to start by setting goals that are a challenging and come up with a plan of action to get to those goals. Identify any obstacles in the way and possible solutions to those obstacles. Surround yourself with people who are where you want to be in order to sat hungry and get inspired. By surrounding yourself with people who are where you want to be, you can get tips to how you are going to get there and mentor advice on the road. The most important answers to the question How do I Stay Focused and Become Successful? is using your time wisely and always using it in order to reach your goals. So, to summarize the answers to “How do I Stay Focused and Become Successful?”. It is important that you have your mind set correctly. That way, you´ll also stay motivated and hungry because you are aware of your goals. it is extremely important that you surround yourself with the right people that aren´t slowing you down and are negative against your high ambitions. There is no need for those kind of people in your life. Be hungry for knowledge that can help you reach your goal quicker and always be eager to learn new things and becoming better every single day. The most important part however is that you spend your time wisely and do things that will help you come closer to success every single day and make it a habit.